Take a look at some fantastic pictures taken on our ‘Cannes, St Tropez & Chic Cote D’Azur’ tour this week – by our tour driver Rick, absolutely stunning coastal scenery and bright sunshine – happy days! Check out these fantastic pictures from our tour driver, Eddie, on the ‘Dramatic Italian Dolomites’ tour, this June. Fantastic mountainous scenery! Check out these absolutely great pictures from our popular ‘Austrian Lakes – Sound of Music’ holiday. Look out for the excellent photos of the amazing view from Rudolf’s Tower! Check out some great pictures taken by our tour driver Rick on our new tour for 2015 – ‘Lake Annecy & The Savoy Alps’ holiday this May. Fabulous mountain & lake scenery to enjoy! Take a look at some stunning photos taken by our tour driver Brian on the ‘Emerald Isle and Ring of Kerry’ holiday, this May. Absolutely amazing scenery! 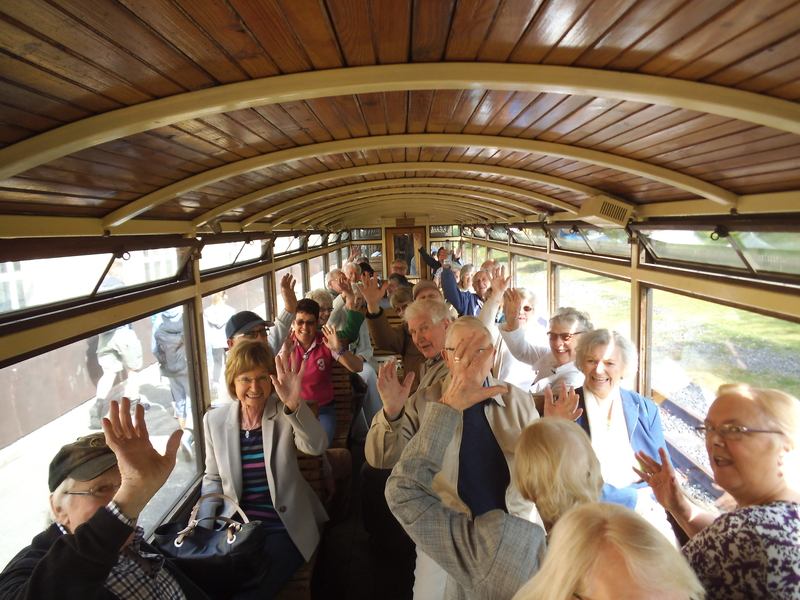 Take a look at some fantastic pictures of our ‘Welsh Valleys & Brecon Beacons’ tour, taken by our tour driver – Paul, lots of happy & smiling faces enjoying the Brecon Mountain Railway! Our tour driver Paul, took this great photo on the ‘Welsh Valleys & Brecon Beacons’ tour in May. A worthy winner of this months prize!